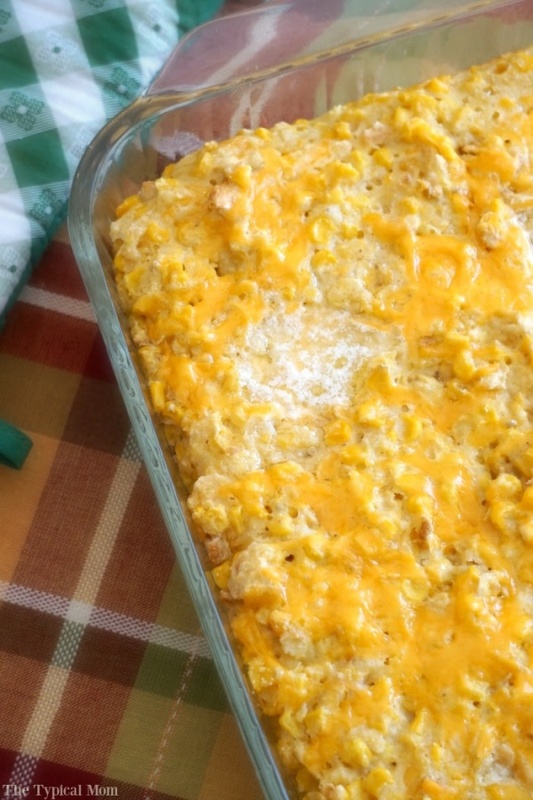 Cream Corn Casserole By Justine | The Typical Mom. The best cream corn casserole recipe ever! Just throw everything together and bake for a sweet cheesy side dish during the holidays or all year long.